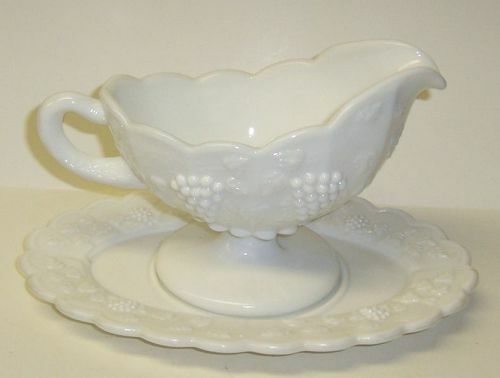 This is a really pretty Cherokee Rose Creamer and Sugar Bowl set made by Tiffin Glass in the 1940s. 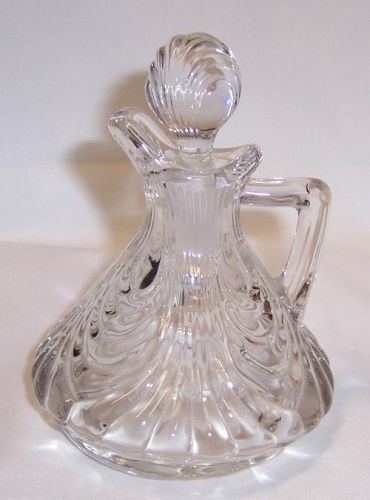 The Creamer and Sugar Bowl each measure 3 inches high. 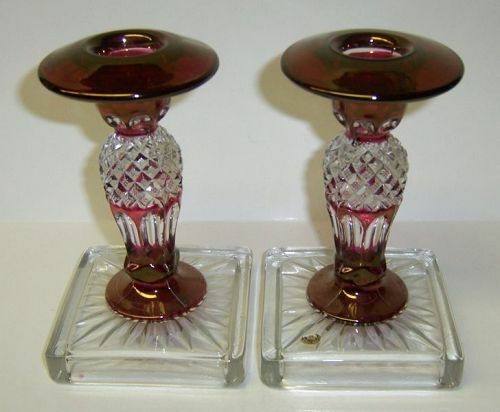 They are both in very good condition with no chips, cracks or scratches. We guarantee items to be as described. THANK YOU. 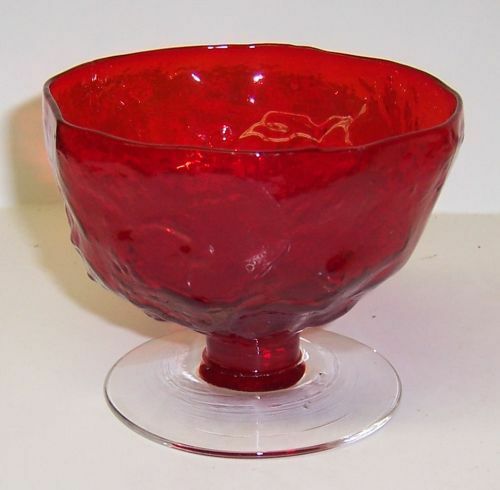 This is a really great Ruby Flashed Kings Crown 12 inch diameter Smooth Rim Bowl made by Indiana Glass. 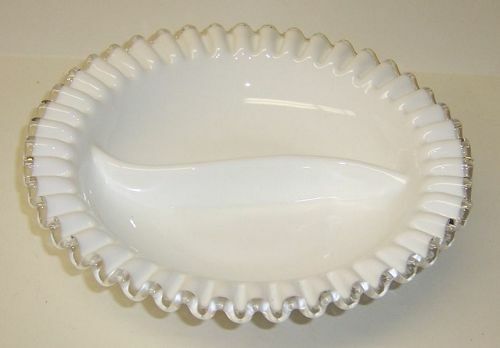 This Bowl measures 3 inches high and is in very good condition with no chips, cracks or scratches. The Ruby Flashing is all very good. Be sure to search our other Kings Crown available. We guarantee items to be as described. THANK YOU. 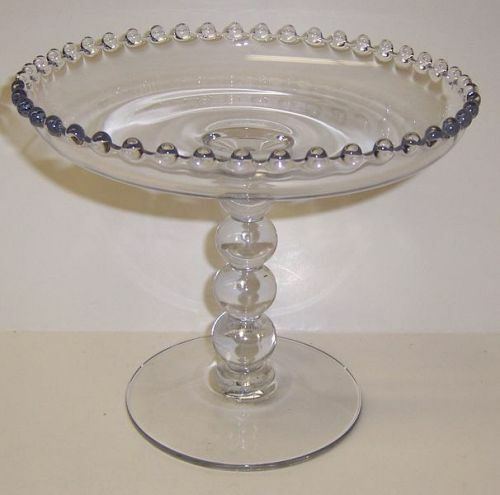 This is a really great crystal clear Candlewick 6 1/2 inch high, 4 ball, Mint Comport made by Imperial Glass. 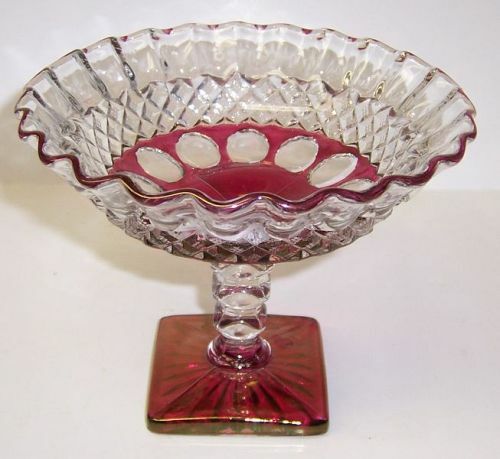 This Comport measures 7 3/4 inches in diameter and is in very good condition with no chips, cracks or scratches. 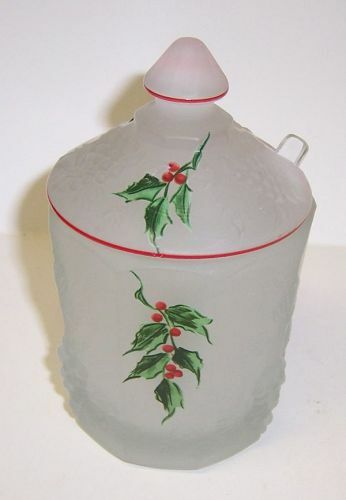 Be sure to search our other Candlewick available. We guarantee items to be as described. THANK YOU. 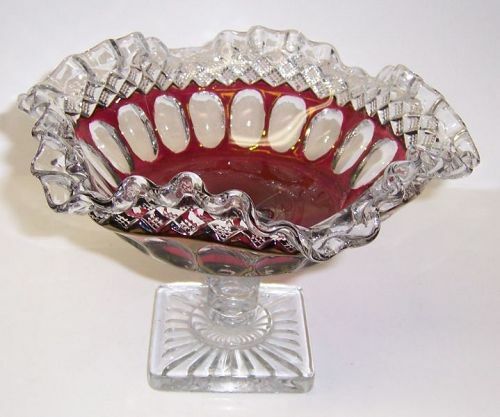 This is a really pretty milk glass white Silver Crest Heart Shaped Handled Dish or Bowl made by Fenton Glass. 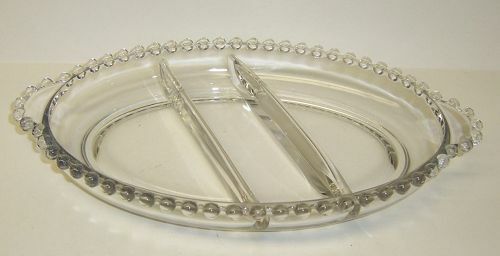 This Heart Bowl measures 8 1/4 X 6 1/2 inches. It is in very good condition with no chips or cracks. Be sure to search our other Fenton available. We guarantee items to be as described. THANK YOU.